Hey! 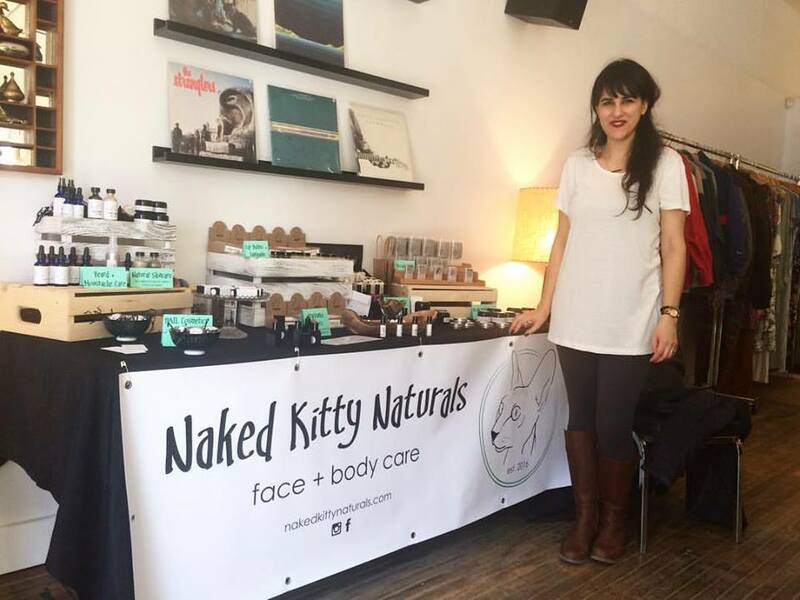 My name is Sara Robertson from Naked Kitty Naturals. I started making natural personal care products as a result of a childhood of mixing up potions, a fascination with skin care, and a love for natural deodorant. My own background is in English literature, fine art and business, but I've always wanted to have my own business (this is actually my second! 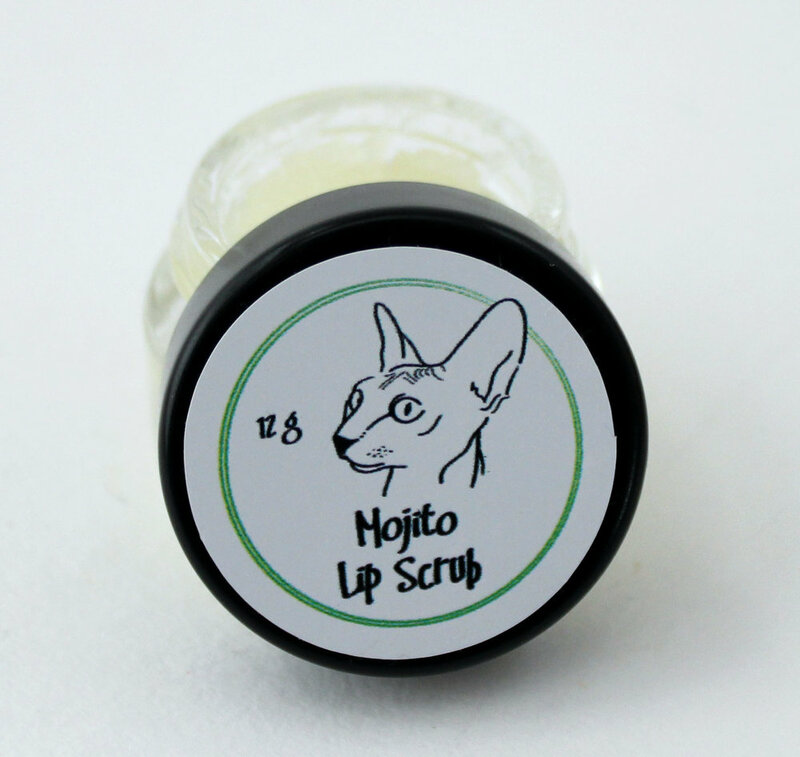 ), and have wanted to create my own cosmetic products since I was 13. I make a pretty broad variety of natural personal care products, from deodorant to lip scrubs and a complete skincare line (which I'm really proud of). Products are carefully handcrafted in small batches with natural ingredients and therapeutic-grade essential oils in my basement lab space. Every product is tested for quality, and every formula is tested by friends and family before it's big debut. I keep things allergen-friendly and uses gentle ingredients, which means soy, gluten, dairy and nut oils are kept out of my products. Vegan and unscented options are also available for many products. I've always loved creating; it's my way of playing. I love every step of the process, from branding, creating labels, trialling products, and seeing the final product. I love experiencing both the journey and the destination! I went from appreciating natural products to really knowing everything about them; my academic background has made me adore research, so I don't fall for fads or fad ingredients. I have what I think is a pretty scientific and academic approach to creating my products, while still making sure they can be appreciated for the time and effort put into the creation process. I'm a lot more meticulous about the entire process since I started, and a lot more knowledgeable about what ingredients I use and how to manipulate them. I spend hours weekly scouring websites, looking for books on skincare, working on my online course through Formula Botanica, and creating test batches in my basement for friends and family to try out. It feels like I can never spend enough time creating or learning about how different ingredients work. Having the final product ready to post online or stock in stores, then seeing people use the final product and come back for more with positive results. If you have an idea, figure out how you can put it in motion and make it fly. Taking the time to bring my creative ideas to life without worrying about time.